Here is where you can mange your orders. 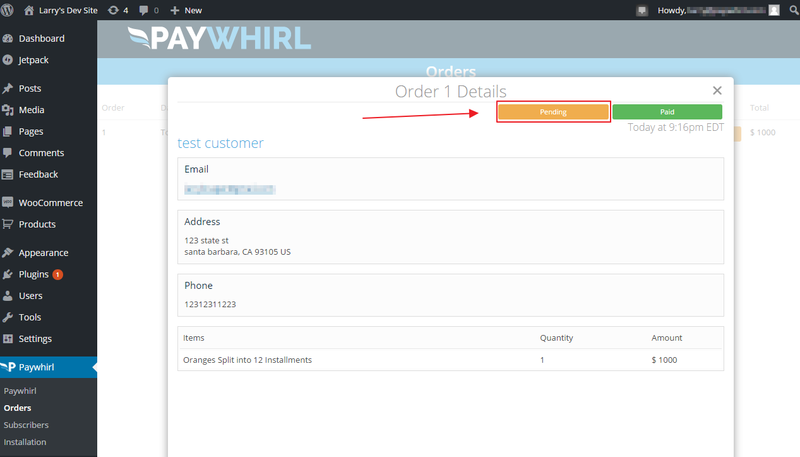 If you click on the order it will display its details and allow you to change the status. 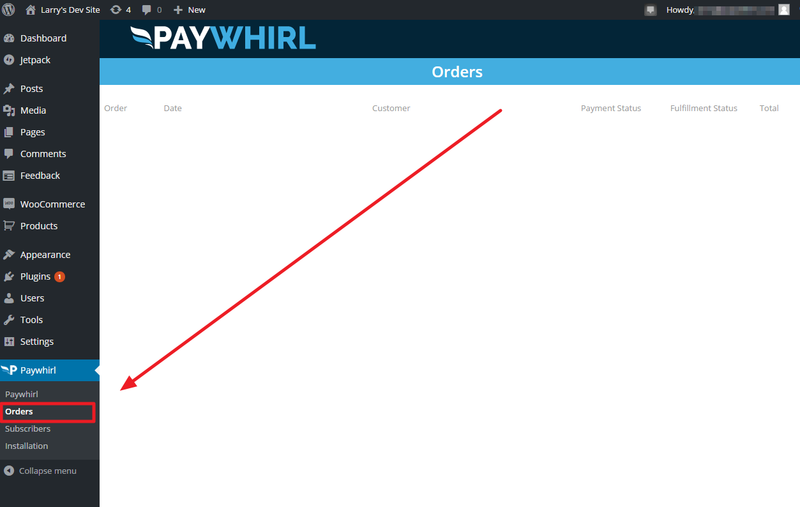 By default paid orders will come in with pending status. Click the box with the word pending to change its status to shipped, on hold, or a custom status.Clicking will cycle through the status options. 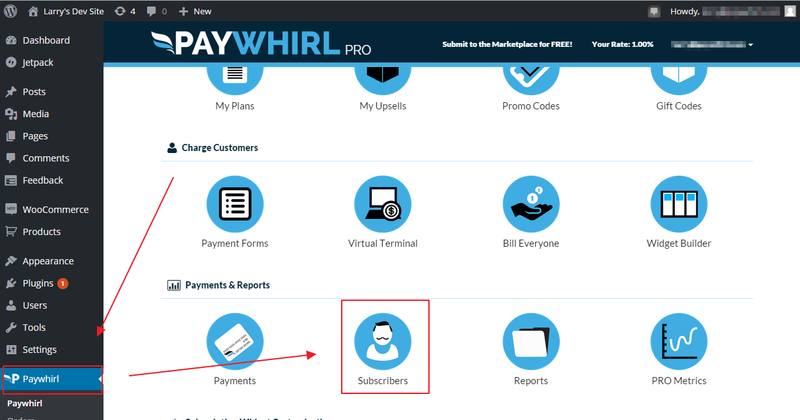 To manage a customer details you will need to return to the PayWhirl Dashboard and click Subscribers. 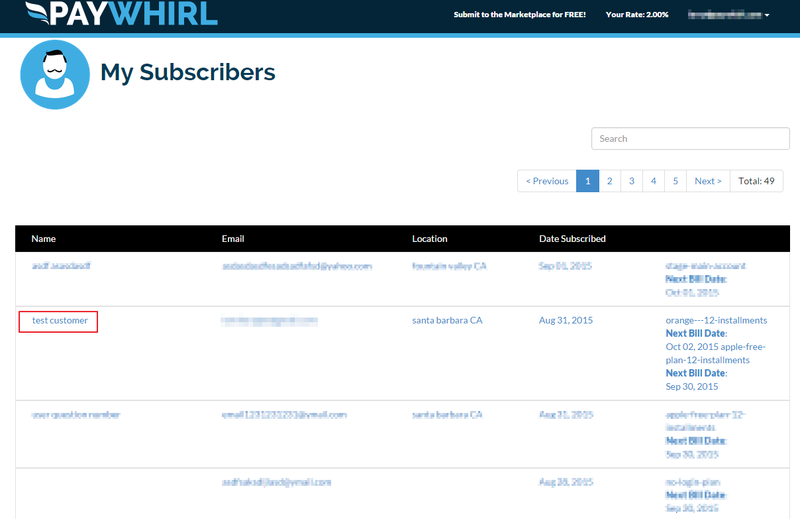 Here you can view all your subscribers and make adjustments to their subscriptions as well as manage their details.